2 little people in my life are going through a really tough time right now. Jayden, who is 4, is going through her 2nd battle with cancer. She has a Wilm's Tumor which is located outside the kidneys, which is extremely rare. She is fighting and fighthing very hard, but she needs as many postive thoughts and positive energy as she can get. I'm thinking a lot about her, her family and my own family lately. As a matter of fact, it's consuming my life, as it is many other people who are close to me. So Baby Jay, I'm thinking about you! Keep fighting! Jayden and her 18 month old sister, Trinity. The other little guy is my 3 year old cousin, Sebastian. He was diagnosed with Mononucleosis. Which many people are very familiar with, but when it hits a 3 year old, it's very serious. So he also needs some thoughts and positive energy going his way as well. He's a tough guy with a HUGE support system of mom, dad, grandparents, aunts, uncles and cousins. Hopefully he will bounce right back to his same energized self! Thinking about you too, Seb! Quite a sombering post, I know. But these little people are important to me, espeically children this age. It seems quite unreal and un fair. On a much lighter note, it has been snowing here ALL DAY LONG! So we are adding a few inches to our already couple inches of ice and snow. Super. Just gotta get through it. Thank goodness I have Fredrik. He is doing his very best to keep me positive through a rough time in my life. I couldn't be any luckier to have such a supportive partner for the rest of my life. So, here is your everyday thing. Now this is just silly. This is what Swedish people think American's put on their hamburgers. See the weird looking pink stuff slithering down the hamburger? Yea, that's the "American Dressing" we supposidly put on our hamburgers. I don't know about you, but how many times have you put pink sauce from a pink tube on your hamburger? Never. Me too. It's kind of cute though, and they really like it. I tried it once and it tastes a lot like Long Island dressing. Which is something I would never put on a burger. But none the less, Swedes like burgers, and it's kind of a pride thing, when we really get to be the ones to take claim for creating the hamburger! Jayden was on my prayer list and I will add Sebastian, too. It is hard when people you love are ill. Interesting about the sas! Do you try to tell people there that Americans usually don't use this type of sauce? Or do you let the myth continue? 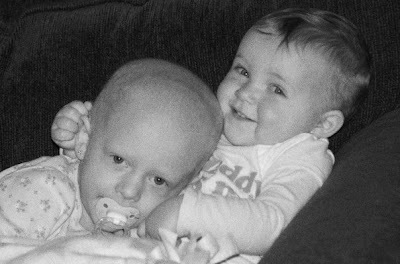 It has to be so hard for you to be so far away with these two little ones suffering, but, as my Mom and I know, there is no limit to how much you can worry and hope for the best, even from an ocean away. Nobody in Sweden would even know to keep these kids in mind if you were not there to share their stories so do what you can from where you are to make sure your family and friends there know and care about their little lives.